Land of Gold is a Playtech progressive jackpot with an Irish Luck theme. When you hear the word Irish and Luck you immediately think of 4-leaved clovers, leprechauns, pots of gold and lucky horse shoes. This slot features all that and more. There’s a progressive jackpot up for grabs when you are in the Golden Coins bonus round and you manage to get three lucky 4-leaf clovers. Software: To make this slot even more interesting and to give you the maximum benefit there are 576 winning lines. In here lies the secret to making the most of this slot. To hit the progressive means, you’d need some serious luck. It’s the amount of lines, free spins and bonuses that make this slot so attractive. 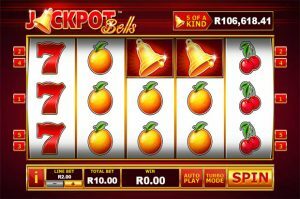 The aim to consistent winnings with the Land of Gold slot is triggering as many of the features as possible and as often as possible. The first of these features is the Stacks of Luck feature which rewards between 5 and 25 times your stake. So stack pots of gold, rainbows, harps, horseshoes and 4-leaf clovers on the three middle reels. 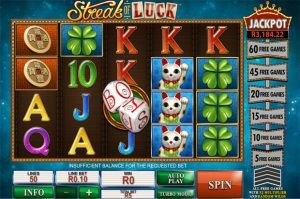 Next is the Lucky spins Free Games feature which is triggered by landing the Leprechaun scatter symbol on reels 2,3 and 4. The wheel of luck will spin revealing the amount of free spins that you have won. 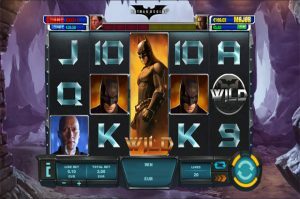 The great news about this feature is that it also has a multiplier running simultaneously to each win. Keep spinning the wheel right up until you hit collect. Free spins can be triggered indefinitely. There’s the Golden Coins Bonus feature which gets triggered by landing the Mushroom Bonus symbol simultaneously on reels 1 and 5. The objective is then to get the Leprechaun to jump and grab gold coins which is achieved by pulling and releasing the mushroom. 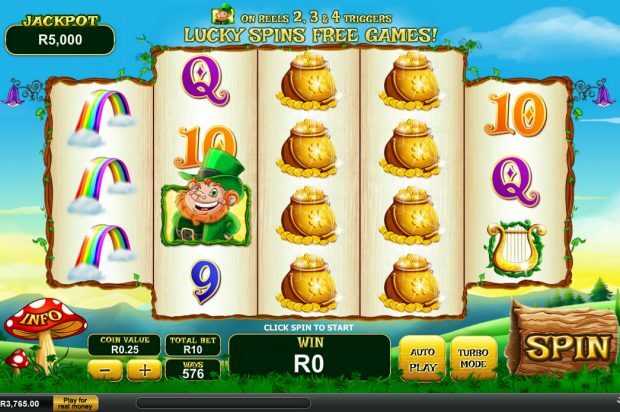 Landing the Leprechauns scatter on reels 2, 3 and 4 unlocks the free games bonus wheel which is real delight. 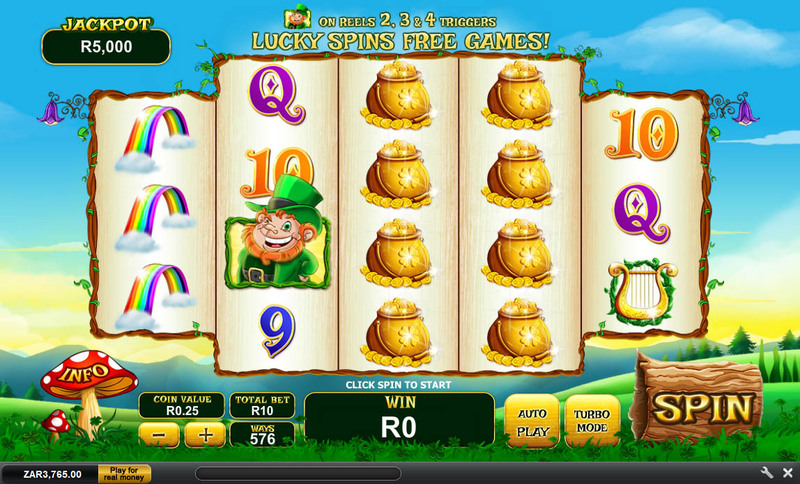 The Lucky Free Spins feature kicks off when the Leprechaun scatter lands on the 3 middle reels ( Reels 2, 3 and 4 ). Be sure to try land the Leprechaun symbols on reels 1 and 5 to be in the hunt for more gold coins. What’s not to like about the Land of Gold slot. Besides the chance of winning one of four jackpots, the free games and bonus offers are the real enjoyment. The key to success and most practical chance of raking up profits must lie in the 576 winnings lines and free spins options.